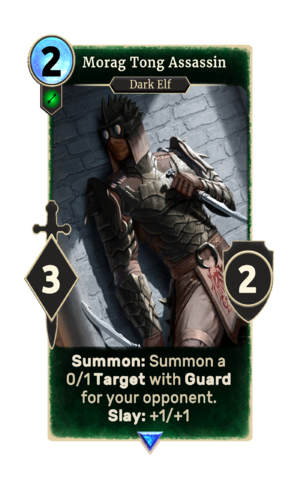 Morag Tong Assassin is a rare Agility creature card. It is part of the Houses of Morrowind expansion. "I have legal sanction to end your life." This card's slay ability applies the Sanctioned card effect. This page was last modified on 2 March 2019, at 00:19.